The Special Economic Zones (“SEZ”) regime in Jamaica seeks to promote the growth of Jamaica’s economy not just from the contributions of Developers, Occupants and Zone Users within the various SEZs, but also from the contributions of Micro, Small and Medium-sized Enterprises (“MSMEs”) that are given the opportunity to conduct businesses within SEZs. “medium enterprise” if it has between eleven (11) and fifty (50) employees or an annual turnover of more than the equivalent of between US$40,000.00 and US$150,000.00. As part of the backward linkages mandate of the Special Economic Zones Authority (the “Authority”) under the Act, the Special Economic Zones Regulations, 2017 (the “Regulations”) and under the MSME and Entrepreneurship Policy, the Authority seeks to target MSMEs to facilitate business opportunities within the established SEZs. Therefore, there are several direct and indirect ways that Jamaica’s MSMEs may benefit from the SEZ regime. How can MSMEs access SEZ opportunities? the MSME is not engaged, and there is no reason to suspect that the occupant will engage in any money laundering or other financial crimes, the financing of terrorism; the manufacture or proliferation of weapons of mass destruction or any of the excluded activities listed in the Act. The Authority will also have to be satisfied that the MSME applicant: has sufficient evidence to prove that it will conduct at least 50% of its business with a Developer or an Occupant or has the capabilities to provide services or goods to an international market; and that it is capable of making an investment of greater than US$25,000.00 in zone-related infrastructure or equipment within the first year of operation within the period that it will be authorized to operate. The Authority is permitted to grant a valid period of not more than four (4) years from the date of issuance in respect of each applicant. Within the four-year period, an MSME will be required to put itself in a position to upgrade its status and meet the eligibility criteria of an Occupant (as discussed in Part II of this article series, published in the Business Observer on June 27, 2018). The SEZ regime is new, vibrant and seems not only to offer great business opportunities to Developers, Occupants and Zone Users of the SEZs as the regime allows the Authority to assist MSMEs to create and foster business relationships with SEZ companies thereby creating linkages that can be used by MSMEs to enter and operate within SEZs. These operations will possibly lead to the transformation of those MSMEs into larger enterprises as result of the enjoyed benefits that come with the SEZ pie. 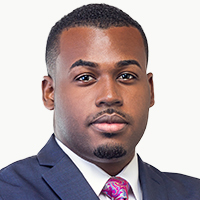 Jezeel Martin is an Associate Attorney-at-Law at Myers, Fletcher and Gordon, Attorneys-at-Law, in the Commercial Department. He may be contacted at jezeel.martin@mfg.com.jm or www.myersfletcher.com. This article is for general information purposes only and does not constitute legal advice.